A wedding is among the most important occasion that will happen in the life of every person. It is therefore very important to ensure that it is as colorful as possible. Among the best way to color your wedding is making the right selection of flowers. 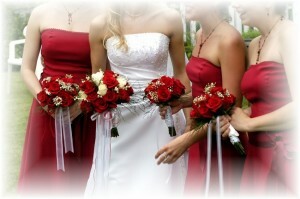 If you make a wrong move in choosing the flower, it could have an overall negative impact in the whole wedding process. Below is a list of the 10 biggest mistakes that you don’t want to happen. Most couples are more concerned at flower arrangements around the tables and centerpiece and they fail to consider the other factors. For example the couple may pay for an expensive room that has a nice view, but this view maybe blocked by the big centerpiece flower arrangement. A florist is a person who has talent and experience in beautifying events with the right kind of flowers. It is therefore important for you to trust them that they are going to do a great job. You should be free to share information with the florist about you vision, likes, dislikes and expectation. Don’t be too rigid but rather have a small room for substitutions. Failure to trust your florist can lead you to receiving low quality flowers that could ruin your wedding event. The process of getting all the flowers required in a wedding is not as easy as going to the garden and plucking them. It is an extensive process that requires a lot of time. For this reason, it is important to book your florist early enough to give them enough time to get the best flowers. Booking a florist will also give you an opportunity to contact several florists in a bid to get the best deals. If you book your florist late, it means she will have less time to find the right flowers which could lead to low quality flowers or that you get your flowers arrangement deliveredlate. It is only through communication that the florist will know what you want. Provide him with picture and any other communication about how you want the flowers to look like. Although the flower scent may be appealing to you, it may not be appealing to all your guests. This is especially those guests who have allergies to different flower scents. This is common to those brides who want to match the flowers with the brides maids dreses. Sometimes this could result to terrible pictures. It is important to seek advice from the florist about the best colors of flowers to match the bridesmaid dresses. Most brides will rule out expensive flowers in order to remain on their limited budget and therefore end up buying flowers that have little impact for example peonies are expensive but one peony flower will bring more impact than a bouquet of roses. When it comes to flowers, it is important to give a room for small changes and substitutions. Just ensure that the florist observe the theme but allow them to select the flowers. Flowers used at the altar and as centerpieces can be moved to reception tables. The ceremony usually takes about one hour and it would be unwise not to reuse these flower after costing you so much money. It is common among many weddings that the couple forget to budget for the flowers until its too late. Although everyone appreciate the value of flowers, failing to budget for them can make you end in a position where you are unable to purchase quality flowers.